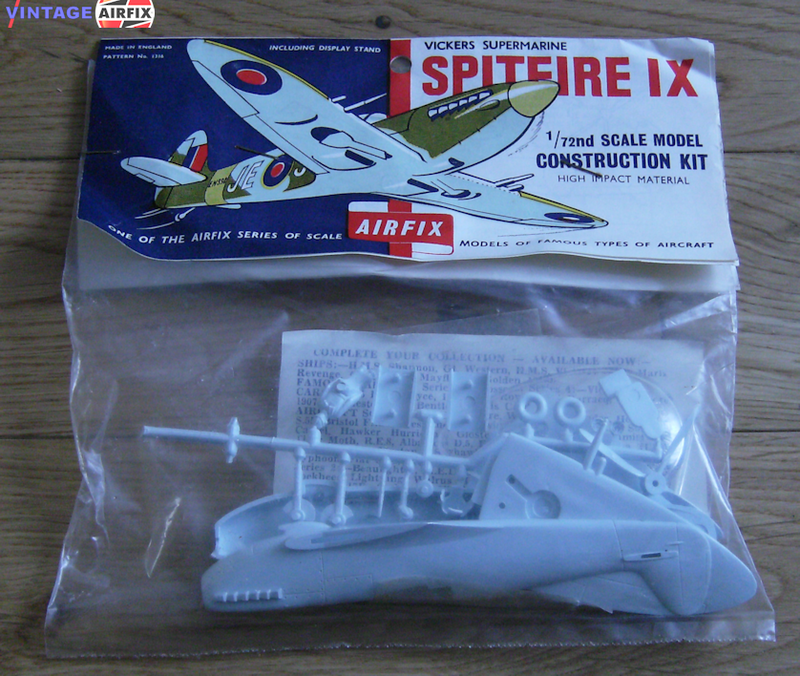 The most famous fighter plane of all time, the Spitfire is faithfully scaled down in this Airfix kit. Of the many variations of Spitfires produced, we have chosen the Mk. IX which was introduced in 1942. The Mk. IX was powered by a 1,600 h.p. Rolls Royce Merlin 61 engine and had a maximum speed of 410 miles per hour. It was this machine that gave the R.A.F. superiority over the German Focke-Wulf 190's and the Messerschmitts.